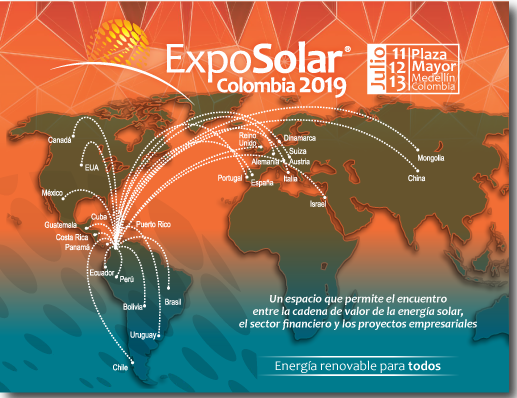 ExpoSolar Colombia, more than a trade fair, becomes a dynamic institution in the value chain of the renewable energy sector, sustainable mobility, energy efficiency and LED lighting. Through the permanent design of promotion and relationship strategies, we look for a dynamic that allows to consolidate each one of the links of the productive chain. To this end, we promote research, training and updating the knowledge of professionals in the sector, the development of products, the implementation of solar systems, the relationship and creation of synergies between companies in the sector. 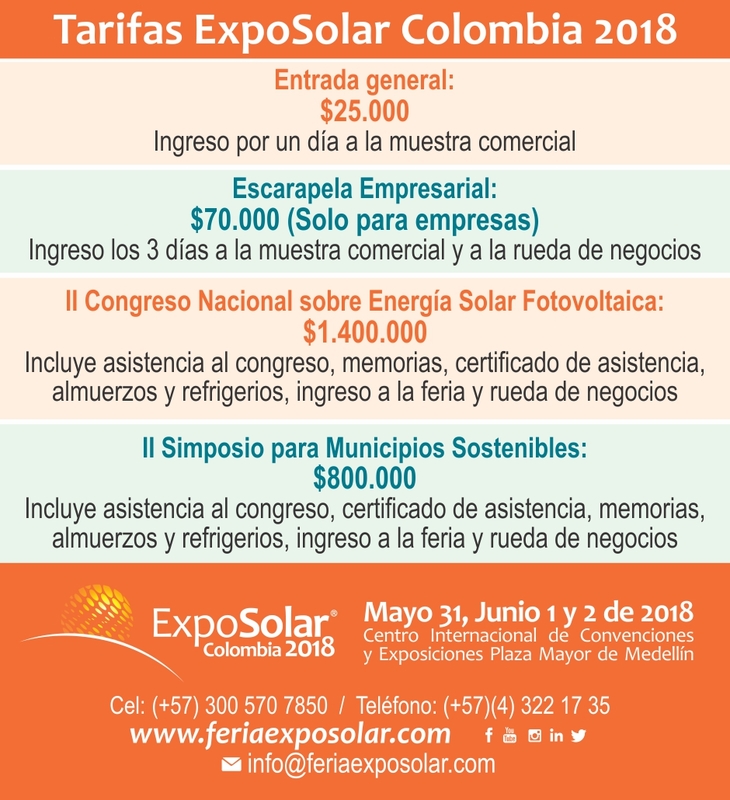 We disseminate the advances in the installation of solar energy projects in Colombia, public policies and relevant legislation; but above all, we seek the motivation for the industrial and commercial sector to become aware of the importance and economic viability of self-generation with solar energy aiming at sustainable and responsible development with the environment. 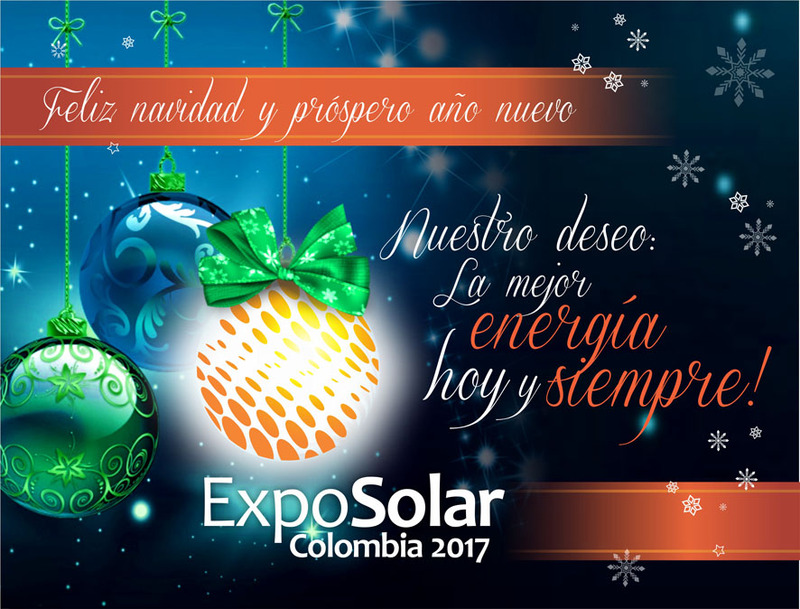 As a central activity, ExpoSolar organizes a national and international exhibition event where products and developments of solar energy, both thermal and photovoltaic, sustainable mobility and LED lighting are exhibited, promoted and marketed; offering commercial and academic spaces that present scientific and technological solutions that contribute to the development of renewable energy in Colombia and Latin America, showing this sector as a great dynamic axis of the sustainable economy. 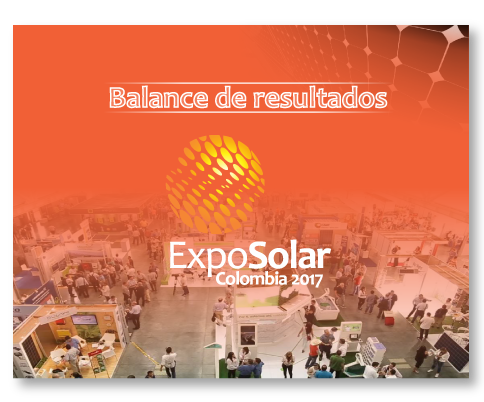 The Center for Science and Environmental Awareness, an educational entity, created ExpoSolar as an event, and at the same time, a dynamic process for integrating solar energy into the development of the Country. Promote the industry of solar thermal and photovoltaic energy, LED lighting, energy efficiency and electric mobility as a new dynamic axis of the economy that contributes with a triple balance: economic, social and environmental for the sustainable development of the country, so that the sector industrial, commercial and today’s homes have a vision of the future. • Bring Colombians closer to the development of the photovoltaic industry in the world. • Convert Medellín into a capital of solar energy in Latin America and the Caribbean. 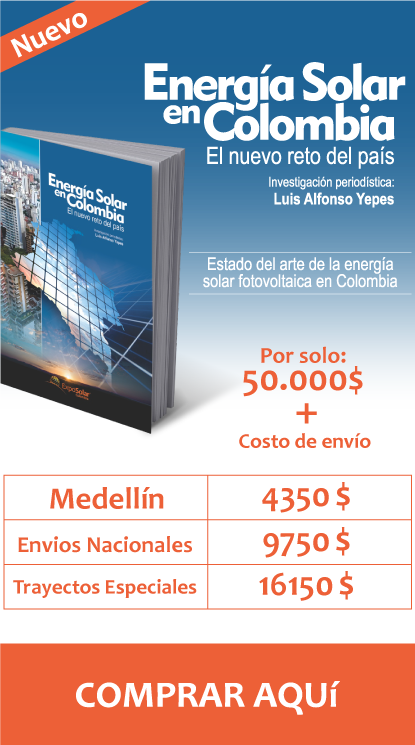 • Publicize the state of the art of Colombian regulation regarding the use of photovoltaic energy. • Stimulate the tourist and business economy of the city. • Make visible the productive chain generated by this new segment of the economy. • Propitiate the space for the relationship between the productive, financial and general client sectors. • Collect international knowledge and experiences from scientists, innovators, official entities and business experts. • Sensitize homes, entrepreneurs and entrepreneurs based on principles and values ​​for the development of sustainable homes and sustainable cities. • Provide opportunities for mayors to approach sustainable technologies and processes to include them in their development plans. • Promote a fair model for the family that includes recreational, cultural and educational components. • Identify the state of the art of solar energy in Colombia, generating documentation that allows the strengthening of this industry.